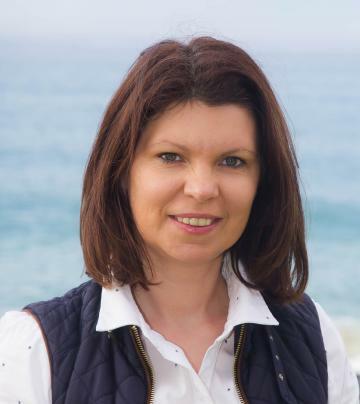 Agnieszka, aka as Aggi, I moved to the south coast and enjoy the beaches, water, adventure sports and real estate. I am proud to be a member of the Team at Clearwater Real Estate and i look forward to helping you with all your real estate needs. "Tasanee" - Ten fenced acres in an idyllic rural setting between Cobargo and the coastal town of Bermagui. This lifestyle property has a lot to offer people who are looking for a quiet piece of paradise that is only 15 minutes to the pristine coastal beaches. Double brick in the living areas ensures the slow combustion wood heater keeps the home cosy during the winter months and reverse cycle a/c cool in the summer. A walk in linen press provides ample storage. "Constantine" - 14.2 Lakefront acres with NO building entitlement. This land can be used as a retreat with short overnight stays to enjoy this parcel of paradise just out of Bodalla. Borang lake is a tributary to the Tuross River (Tidal) and has an abundance of birds, fish and native animals. Subject to Eurobodalla Shire Council consent, a farm shed of up to 200m2 may be able to be built but it must comply with ESC current rules & regulations. Be quick, properties like this area very rare. "Aiyanna" - Located just a short walk from the main banking district of Narooma is this classic three bedroom, one bathroom home on a 1012m2 block of land. Possible redevelopment site. The home is in good "original" condition and appears to be quite sound but could do with a little dressing up. Features include: two good sized bedrooms, central bathroom, kitchen, lounge with fireplace and driveway access/parking at the side of the home. An ideal position close shops, Wagonga Inlet and beaches. "Luciana" - A large two bedroom manufactured villa style home with amazing Wallaga Lake and mountain views. From the time you set foot into this home you will see that it has been quality built by a local trades person. This villa style home is in good condition throughout - Two Bedrooms, Two Bathrooms. The Views: Located on the high part of the park gives you magnificent views of Wallaga Lake and the distant mountains. "Tallulah" - Located in a quiet location in Tuross Head, yet close to Golf Course, shopping centre, lakes and beaches. This brick home would be ideal for a family, retirees or as a rental property. Downstairs: Entry/foyer, open plan lounge, dining & kitchen, breakfast room, laundry and toilet. Off the breakfast room is a screened patio for alfresco entertaining. Upstairs: Three bedrooms, central bathroom, ensuite to master, built in robe and a verandah where you look at a bushy aspect. "Naveen" - Located within walking distance to the Moruya Hospital and Bowling Club, is this well presented single level family home with a lovely rural outlook. Features: Two very good sized bedrooms, third bedroom/office, central bathroom, lounge with fireplace, and open plan kitchen dining area. Alfresco entertaining on the covered veranda will delight your friends, family and guests with the extensive mountain and rural views. "Concordia" - Situated in a quiet rural area just out of Moruya is this council approved dual occupancy complex comprising of two x 3 bedroom homes plus a huge high roof shed, three dams and two carports. Currently both residences are rented at $360 per week each with tenants who are willing to stay on with new leases. Residence 1 - 3 Bedrooms, central bathroom, kitchen, lounge, dining area, reverse cycle A/C, slow combustion wood heater, huge shed (15m x 8.5m with concrete floor and carport. "Tumaini" - Live the dream in the very popular over 55's community at Wallaga Lake. This park home is immaculate and has been cared for by its current owners. The views are suburb, with the distant blue hills and the amazing sunsets over the lake. Sun Room: The south facing sun room has screens to keep out any unwanted bugs and filters the setting sun. This is a lovely space to sit and relax while enjoying the views over the lake. The floor is covered in outdoor carpet for easy cleaning. "Elethia"- Location, Convenience and future development potential (units). Situated only a short walk to the Woolworth plaza complex and main street of Narooma (banking district) is this compact two bedroom home on a 1012m2 gentle sloping block of land. Currently the home is being used by a health practitioner but the location makes it ideal for many different purposes. "Abalinga" - AKA Lot 90 - Backing onto the National Park on two sides and close to the Yowrie River is this fully fenced 60 acre property. Features include a compact three bedroom, one bathroom home and a three bay garage. There is a veranda on both sides which is ideal for hosting family gatherings. The home is Off the grid with a full solar system, including a solar/gas HWS. Three 25,000 litre water talks supply all the water for the property. The house yard is also separately fenced. FOR RENT - Older Style Two Bedroom, 1 Bathroom, Open Plan Unit in Bermagui. (note: furniture not included). NO pets. "Riverview Unit" - Convenient living close to all amenities. 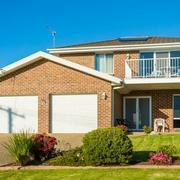 Situated opposite the Bermagui River is this tidy open plan one bedroom upstairs unit. Easy walk to shops, beaches, river, surf club, sports oval and parks. Nearby is the recently completed footpath/cycle way which takes you to the Wharf Complex with restaurants, quality eating venues and shops. FOR RENT - Situated in the Eastview Complex and close to beaches and shops, is this light and airy two bedroom unit in very good condition. Features Include: Open plan kitchen dining and lounge area, two good sized bedrooms, laundry, central bathroom, two dedicated parking spaces, spacious front patio with ocean and wetland views. Note: NO pets. This property is also on the market For Sale. Single Level, three bedrooms, central bathroom, open plan kitchen/dining & living area, solar hot water, slow combustion wood heater, deck on two sides. FOR RENT - Long Term Preferred. NO PETS Level block of land with side access to rear, five good sized bedrooms with BIR's, three bathrooms, "U" shaped kitchen, spacious lounge/dining, office or library, huge laundry, sunny north facing deck, carport and short distance to Dalmeny Club, beach and shopping centre. Apply with correctly filled in application (found at clearwaterrealestate.com.au - look under RENTALS - Forms). NO PETS. FOR RENT - Two bedroom unit with shared back yard. The unit is open plan with combined kitchen/laundry. Nice sunny rear patio overlooking the fenced yard. Would suit a professional working couple or quiet person/persons due to the shared nature of the property. Definitely NO pets. NOTE: this is a shared property so quietness and respect of neighbours is essential. "Alaina" - FOR RENT - Three Bedrooms, Central Bathroom, Open Plan Lounge Dining Kitchen, Single Garage, Alfresco Entertaining Area, Pizza Oven & BBQ. FOR RENT - Family home with nice garden and close to shops, lake and beaches. Features: 4 bedrooms, (2 up, 2 down), 2 bathrooms (1 up, 1 down), kitchen upstairs and kitchenette downstairs, lounge/living both up and down, veranda upstairs with views of Mummaga Lake, large front yard, smaller enclosed backyard with access from car park behind. Single garage to the front, double garage plus shedding accessible from the rear. For 6 month lease at $395 per week. "Liliana" - FOR RENT - 5 Bedrooms, 3 Bathrooms, Recently Renovated, Carport, Level Block, Close To Club, Town and Beaches. FOR RENT - Two Bedroom Brick Home, One Bathroom, Open Plan Living/Dining, Carport, 822 m2 Block, Close to Shops, Sporting Fields, Marina and Wagonga Inlet. 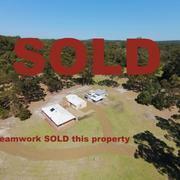 Kathleen wrote: "Thanks for your professionalism and fast sale" - 435 Congo Road, Moruya Heads. I would like to take the opportunity to formally acknowledge a job well done by Jade, Paul and Greer, in the sale of our property at 5 Pacific Avenue, Kianga. Thank you to the team at Clearwater for ensuring the entire process was as smooth and stress-free as possible. From the initial interview both my husband and myself found it obvious that you would be helpful, comfortable to work with and extremely knowledgeable about the real estate market and how to effectively and efficiently sell our home. Selling a home can be a daunting experience, however this was not the case, thanks largely to the fact that the team at Clearwater were on top of it all. They were able to explain everything and were so helpful in resolving any concern that arose throughout the entirety of the process. Both my husband and I asked a lot of questions but the team never made us feel as though we were bothering them, so we would like to thank them for their patience and demeanour. We have already recommended you to a couple of people in Narooma who are thinking about selling their homes in the future, and we will continue to do so without hesitation. Thank you again Clearwater, it really has been a pleasure working with you.